Looking to use that leftover spaghetti? 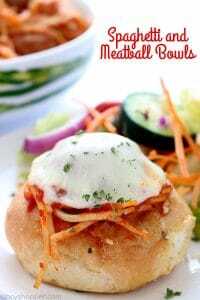 Go ahead and make these delicious Spaghetti and Meatball bowls for an additional dinner or make them as a party food. So super simple to make. We will quite often have leftover spaghetti when I accidentally make too much (happens too frequently). I will usually just heat and serve for lunch the next day. This week, after enjoying our spaghetti and meatball dinner, these little bowls dawned on me. 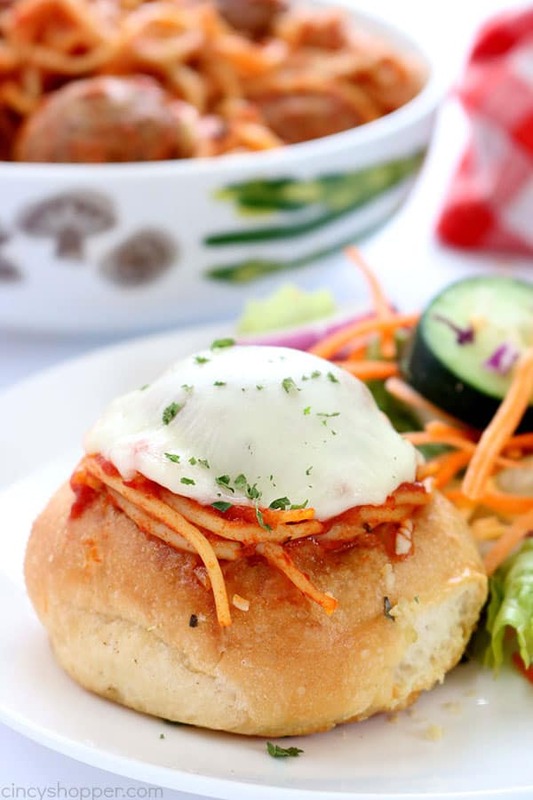 I had seen meatball sliders made in a video on Facebook. I knew adding the spaghetti into the little bowls would be perfect. I served them along side of a little garden salad. 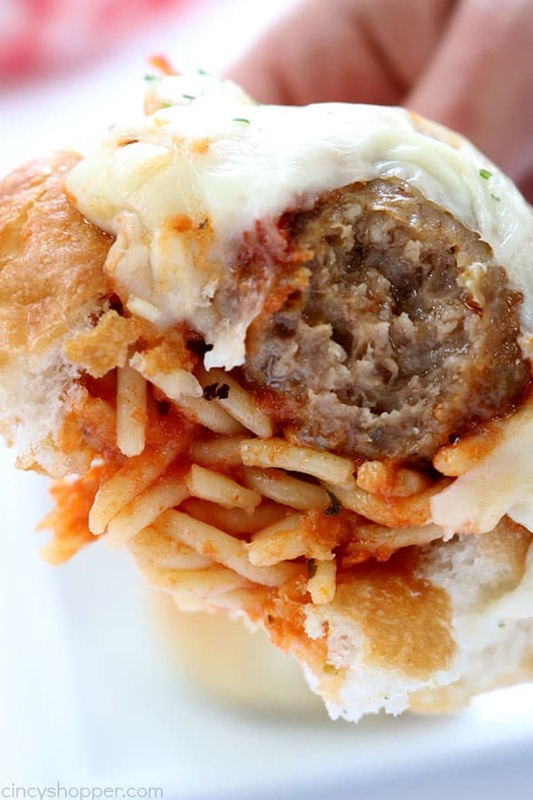 I added a little bit of spaghetti and a meatball into each garlic bread bowl and then topped with some mozzarella. The bowls are actually just basic rolls purchased from the bakery at the grocery. 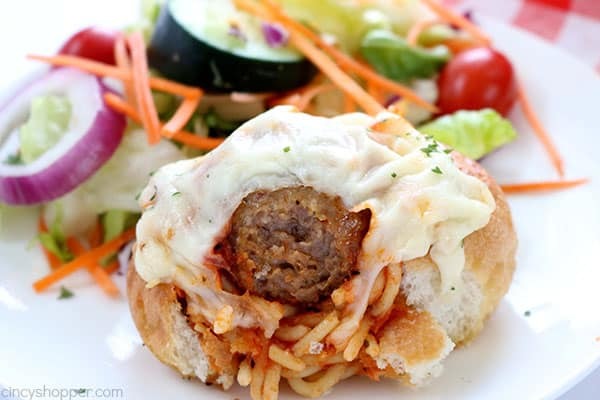 The perfect blend of bread, pasta and meat. 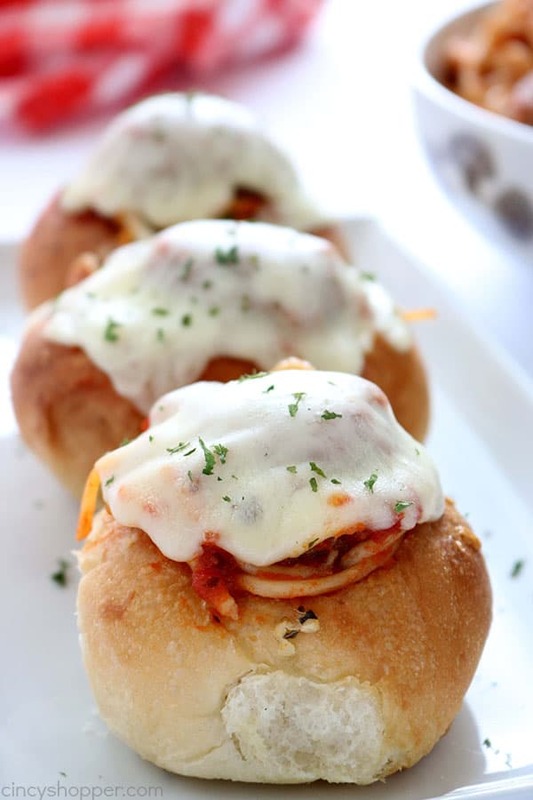 After making these little bowls, I realized they would make for a great appetizer at our next get together. Little handheld spaghetti and meatballs, lol. My kiddos even thought they were a neat little idea. 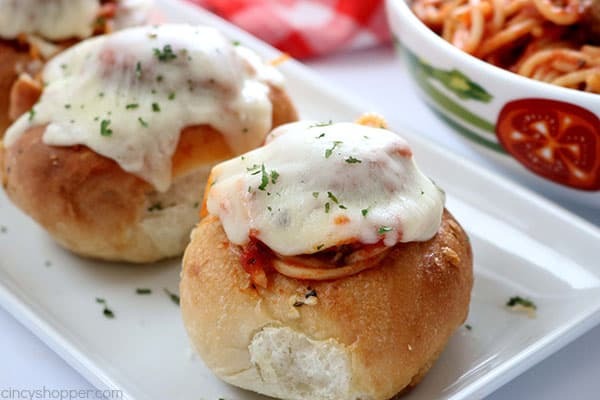 Grab your leftover spaghetti and meatballs, some rolls from your bakery, butter, garlic, basil, oregano, and mozzarella or provolone cheese. 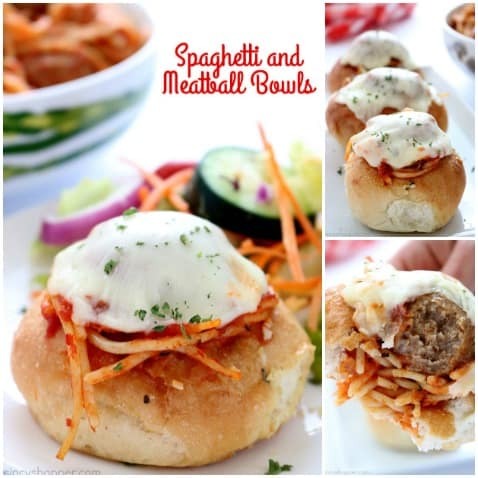 You can have these Spaghetti and Meatball bowls ready to serve in no time at all. 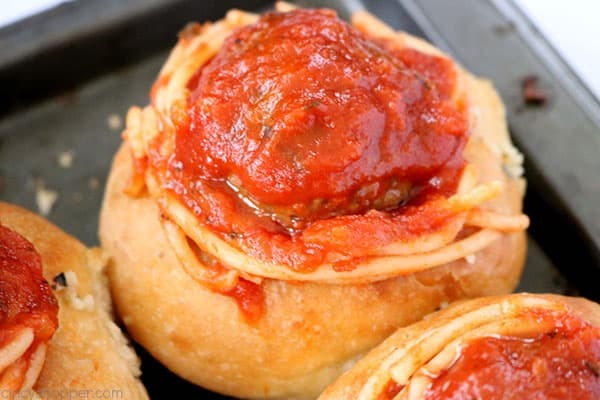 Heat spaghetti and meatballs until warm. 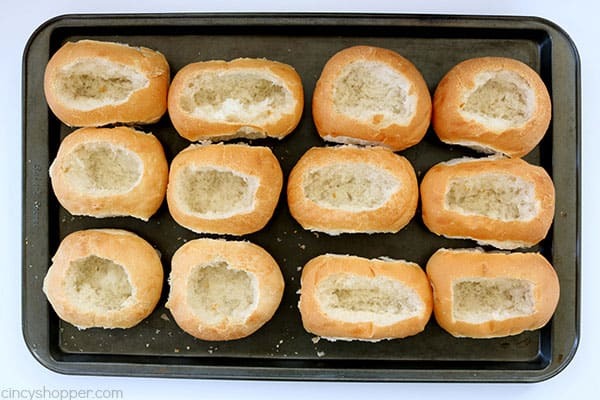 Cut through the top of each dinner roll and remove. 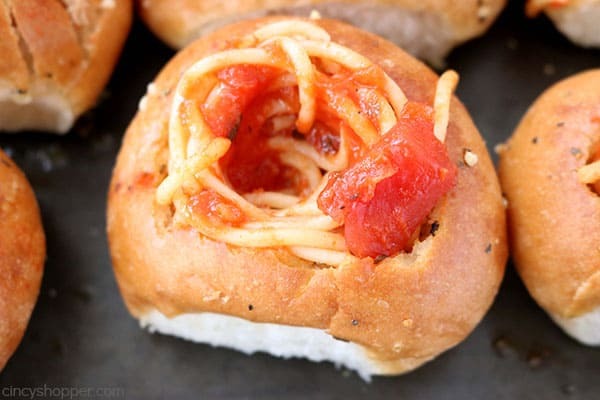 Remove additional bread to hollow a bowl shape in each. 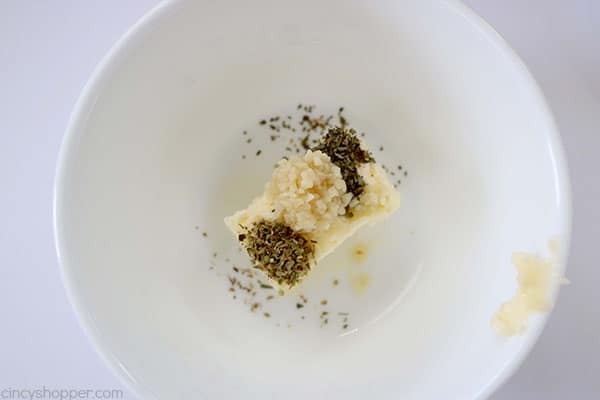 Melt butter and add garlic, oregano and basil and stir untill blended. 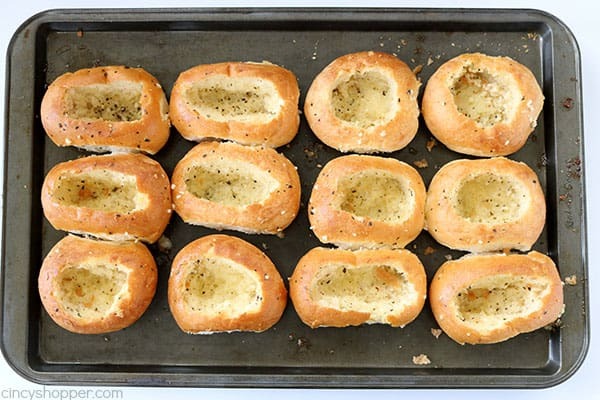 Brush the inside of each bread bowl with butter mixture and place on baking sheet. Use remaining butter mixture to cover the bowls. Bake for 10 minutes until lightly toasted. 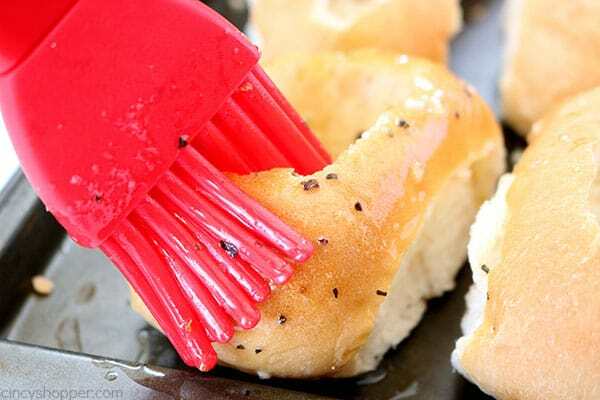 Using a fork, twirl spaghetti and place in each bowl. Top each with additional sauce. 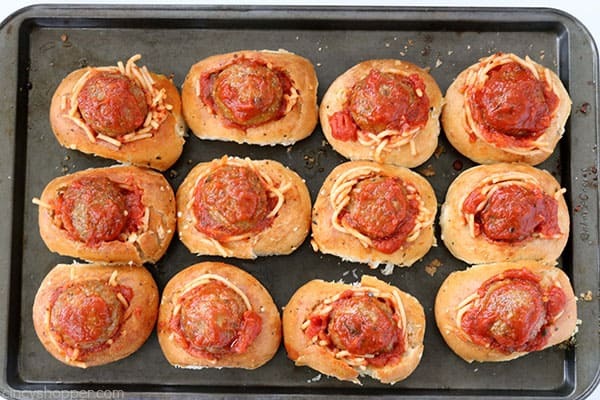 Top each with a meatball and more sauce. 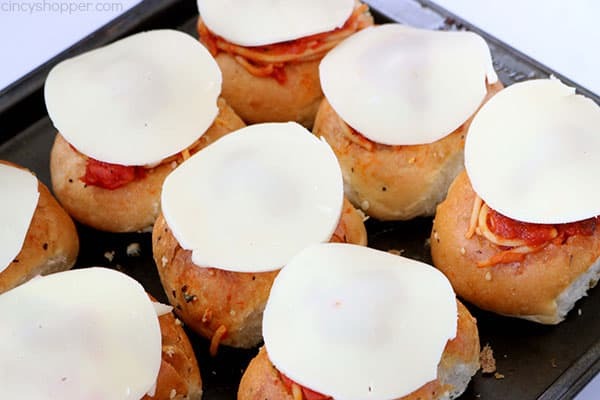 Top each with a piece of mozzarella cheese. Return to oven for 5-10 minutes until cheese is melted. 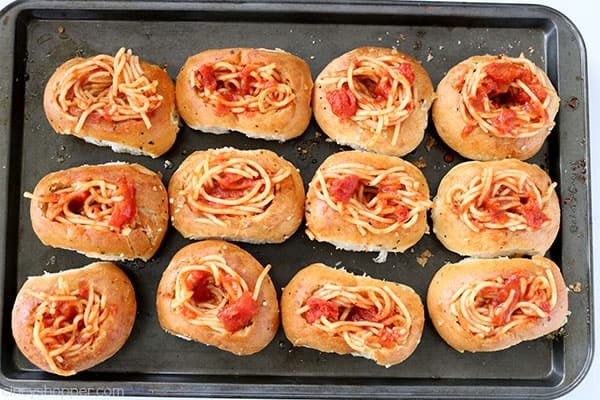 Do you have leftover spaghetti most times that you make it for dinner? Brilliant idea and they look soooooo good! Wish I had some now! 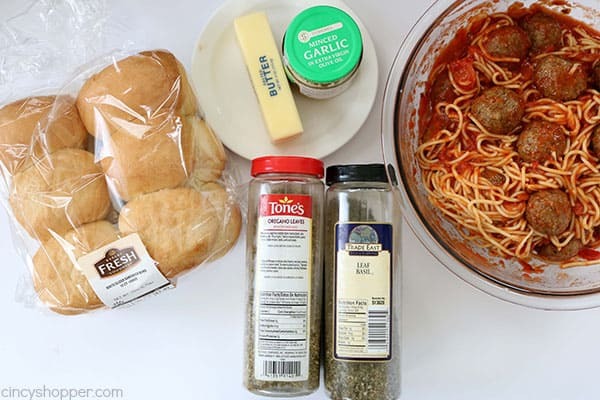 They will definitely be on my next spaghetti and meatballs dinner.